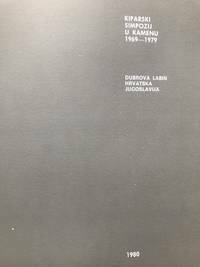 Zagreb: Zadruzna Stampa, 1980. circa 200 pages with many b/w photos. Paperback. Sculptures from Istria. 1st Edition. Paperback. Very Good. 8vo - over 7¾" - 9¾" tall. Chicago: Museum of Contemporary Art, 1986. Exhibition organized by Mary Jane Jacob. 208 pages, full of photos. Paperback. Vey good.. 1st Edition. Paperback. Very Good. 4to - over 9¾" - 12" tall. Paris, 1995. 237 pages with many colour photos. Cloth with dust jacket. As new. . 1st Edition. Hard Cover. As New/As New. 4to - over 9¾" - 12" tall. Owings Mills, Maryland, U.S.A.: International Library of Photography, 2001. 251 pages. Hardcover. As new.. 1st Edition. Hard Cover. As New. 4to - over 9¾" - 12" tall. Barnes and Noble, 1995. 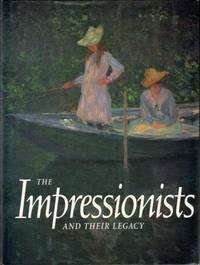 Previously published in two volumes as: the Impressionists: A Retrospective and The Post-Impressionists: A Retrospective. 728 pages with many colour plates. 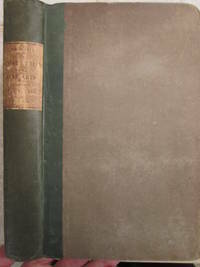 Cloth with dust jacket. Hard Cover. Very Good/Very Good. Foliio. San Francisco: San Francisco Museum of Modern Art, 1989. An Exhibition organized by Graham W.J.Beal. Text by Caroline A. Jones. Folio.65 pages with 32 colour plates.. 1st Edition. Paperback. Very Good/Very Good. Foliio. New York: Metropolitan Museum of Art, 1990. 56 pages with very many coour photos. Staple-bound.. 1st Edition. Soft Cover. Very Good. 4to - over 9¾" - 12" tall. New York: Columbia University Press, 1941. 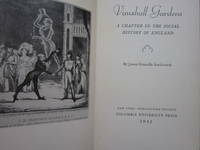 1st edition.199 pages with several b/w illustrations. Cloth. From a college library. Except for a few library markings in very sturdy and tight condition.. 1st Edition. Hard Cover. Good +. 8vo. 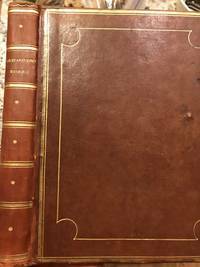 London: Smith, Elder & Co, 1837. 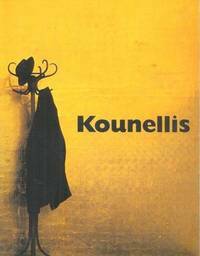 Translated from the French by J. C. Kent. London 1837. 468 pages.Quarter-cloth. 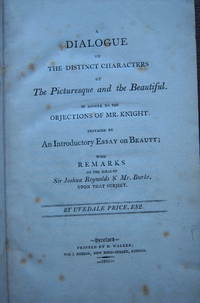 Includes a letter by the translator who presented this book to his uncle.. 1st English Edition. Hard Cover. Very Good. 8vo - over 7¾" - 9¾" tall. London: Clive Bingley, 1967. 131 pages. Very good condition.. 1st Edition. Hard Cover. Very Good/Very Good. 8vo - over 7¾" - 9¾" tall. Leipzig: J.J. Weber, 1903. 196 Seiten mit 103 Holzstichen im Text. Dekorativer Leineneinband. Sehr gut erhalten.. 15th Edition. Hard Cover. Very Good. 12mo - over 6¾" - 7¾" tall. London: T. And J. Egerton, 1792. A New edition, corrected, with Additions of an Essay on the Knowledge of Prints, and Cautions to Collectors. 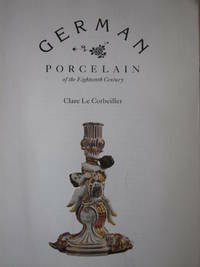 Ornamented with Portraits by Worlidge, &c. of the most eminent Painters mentioned. 287 pages with 12 plates all tinted red. Full calf with gilt stamping. Corners slightly bumped, professionally respined. Very attractive.. 2nd Edition. Hard Cover. Very Good-. Lg 8vo. Boston: Houghton Mifflin and Company, 1961. 236 pages. Very good condition. Review copy for teaching faculty.. 1st Edition. Soft Cover. Very Good. Lg 8vo. London: Methuen & Co., 1967. 126 pages with illustrations. Very good.. 1st Edition. Hard Cover. Very Good/Good. Lg 8vo. Boston and New York: Houghton Mifflin and Company, 1910. 259 pages. Blue cloth. 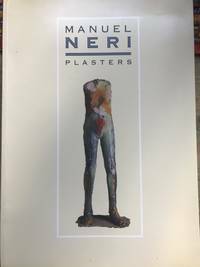 Very good condition.. 1st Edition. Hard Cover. Very Good. 12mo - over 6¾" - 7¾" tall. London: C. W. Beaumont, 1926. to which is prefix'd an essay by Edmund Blunden. The whole embellish'd with Theatrical Figures by Randolph Schwabe. Signed by Cyril Beaumont. 45 pages. Quarter-cloth with decoratively stamped boards. # 191/270 of a limited edition. Very good condition.. Signed by Publisher. 1st Edition. Hard Cover. Very Good. 8vo - over 7¾" - 9¾" tall. New York: Harper & Row, 1982. 206 pages with many illustrations. Black cloth.. 1st US Edition. Hard Cover. Very Good. 4to - over 9¾" - 12" tall. Hereford: Robson, 1801. Prefaced by and Introductory Essay on Beauty. 229 pages. Very minor foxing to front pages. Blue cloth, slightly scuffed. Else tight and delightful. No half title (don't know if there should be one). Previous owner was Leonard Charles Price in Surrey. 1st Edition. Hard Cover. Very Good. 8vo - over 7¾" - 9¾" tall.